It’s Tuesday, so you know what that means—it’s time to talk shoes. Today’s topic? The best black sandals under $100. To enable (and honor) our love for footwear, we’ve dedicated a weekly post to highlight and share our must-have picks! Be sure to come back every Tuesday to check out the week’s featured style and shop the shoes sure to keep your wardrobe fresh and covetable. 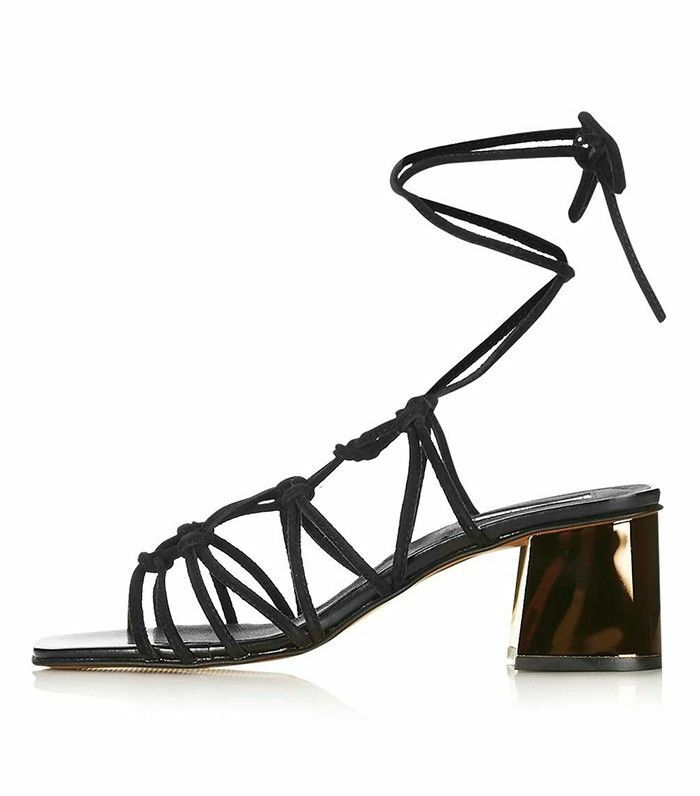 If you’re in a midsummer sandal rut, today is your lucky day. We searched around for affordable and stylish black options for you. Since fall is creeping around the corner, we suggest saving on sandals right now so you can focus your splurging on purchases for autumn. Shop our favorite under-$100 sandals below! These lace-up sandals are great for the office and beyond. These simple slides will become your weekend go-tos, we promise. Here’s the 2016 way to style Birkenstocks. Low block heels are the most comfortable sandal style. Be sure to pack these on your end-of-summer vacation. Wear these with your favorite vintage T-shirt and denim skirt. Snag these while they are still on sale. Struggling to find some that fit? Here’s where to buy shoes for small feet.